Gordon House is a two storey contemporary building with a distinct symmetrical design at its entrance elevation. The building is of an 'L' shaped design with an open courtyard for parking concealed from the adjoining roads. 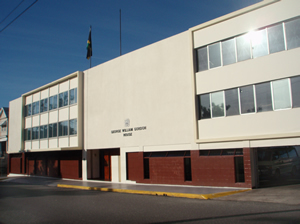 On Wednesday, October 26, 1960, Gordon House became the official meeting place of the Jamaican Government replacing Headquarters House, which was the meeting place of the government since 1872. 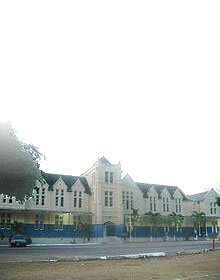 The building was named in honour of National Hero, the Rt. Excellent George William Gordon who supported freedom and justice for all classes in the society. This helped to pave the way for much of the advances in self-government and democracy in Jamaica in the twentieth century. As an elected member of the House of Assembly in the 1850s, George William Gordon became a leading promoter of the interest of the newly emancipated black peasants. 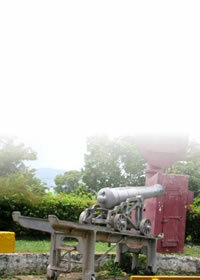 The peasants formed the majority of the Jamaican population, but because of ethnic and historical barriers connected with slavery, most of them were poverty-stricken and marginalized by the political system. Slavery ended in 1838, but the peasants as a group was still forced to live as social outcasts, and Gordon himself a coloured, embraced their plight. Gordon's concern for the troubles of the underprivileged was the driving force behind his campaign for reforms in the political directorate. 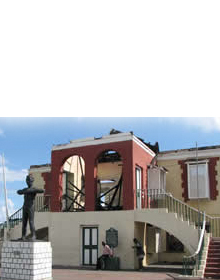 Gordon House is aptly named in honour of the man who was one of the frontrunners of the social and political development of Jamaica.